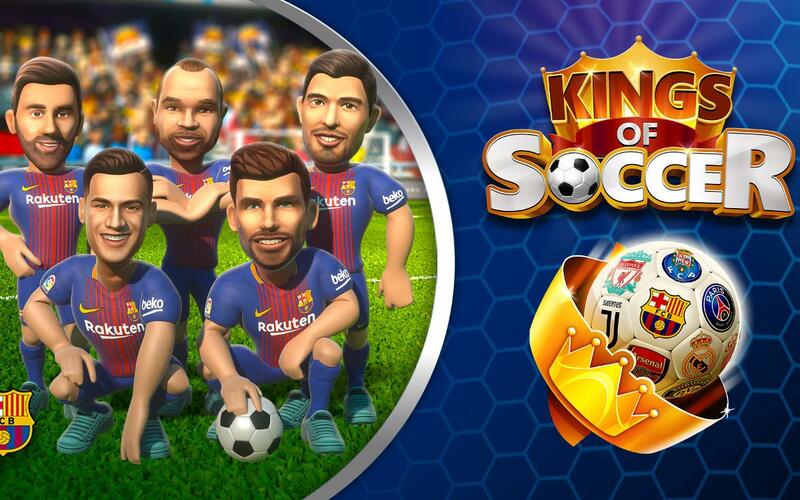 The new ‘Kings of Soccer’ video game for mobile devices is now available. The multiplayer experience, officially licensed by FC Barcelona, allows you to be the Barça coach and gives you the chance to create your own dream team to compete against your friends and other players from all around the world. As Barça boss you have the likes of Lionel Messi, Luis Suárez and Gerard Piqué at your disposal as you compete against other teams from Europe’s top soccer clubs. Carefully develop your players, avoid injuries and work your way up the leagues to international success as you battle to become one of the ‘Kings of Soccer’.